6 Most Terrifying Beasts of Prehistoric Seas! Waters of prehistoric seas during the Late Devonian period were relatively peaceful, however, only until this beast showed up. Measuring up to 33 feet and weighing more than 4 tonnes, this giant armoured placoderm was the largest marine predator of its time. Some fossil records indicate even greater length, sometimes up to 80 feet. Dunkleosteus’s head was protected by strong shield. It used his wide jaws with two pairs of sharp bony plates to hunt its prey. According to recent scientific reports, Dunkleosteus could create a pressure of about 12 MPA at the tip of its fangs, enough to easily crush large bones. This giant pliosaur was named after Cronus, leader of the Titans in ancient Greek mythology. According to fossil records, Kronosaurus could easily grow to dimensions up to 40 feet in length, although first estimates were much higher. Longest of its sharp, conically shaped teeth were about 5 inches long, making them one of the largest fossilized teeth ever found. When combined with fast swimming speed, it was one of the deadliest predators to ever exist on this planet. Fossilized stomach contents showed, that Kronosaurus’s diet was mostly composed of various prehistoric turtles and plesiosaurs. Although its scientific name(“king of lizards”) suggests reptilian origins, Basilosaurus was actually of mammalian ancestry. Reaching dimensions up to 60 feet in length, he was the largest animal to live in the Eocene period. Scientific research suggests, that in addition to fins, Basilosaurus had also small hind limbs. It is speculated, that he could have limited ability of ground locomotion, although many scientists suggest otherwise. Although Basilosaurus was not capable of deep-sea diving, and his brain was also much smaller than brains of many modern whales, he was definitely one of the deadliest predators to inhabit seas in Eocene period. Being larger than modern Sperm Whale, Livyatan Melvillei was one of the largest whales to ever swim in the seas of Earth. Named after the mythical biblical monster“Leviathan”, its body was about 65 feet long. 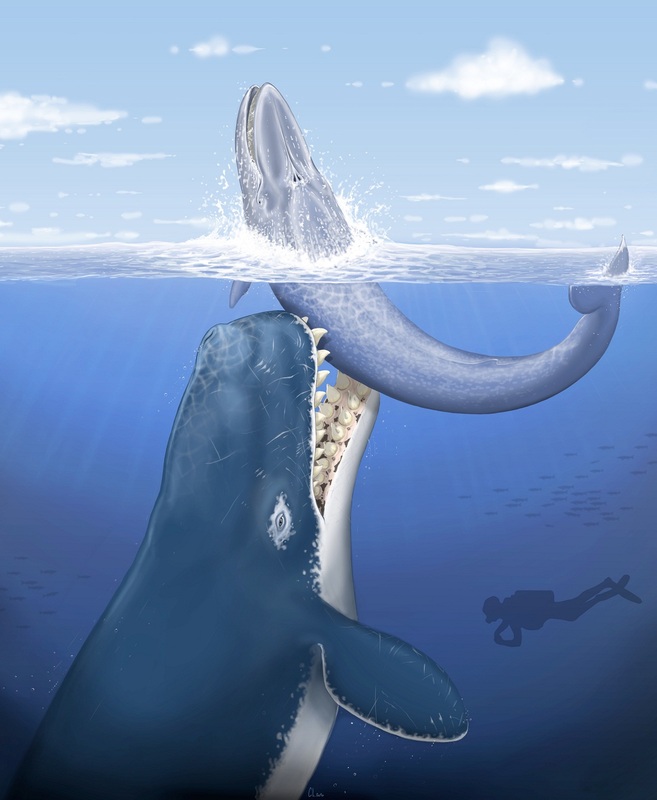 Its 10-feet long head was equipped by deadly, 15” long teeth, much larger than teeth of modern Sperm Whales. These teeth are often deemed the largest functional teeth ever recorded in history, even larger than teeth of Kronosaurus or Megalodon. 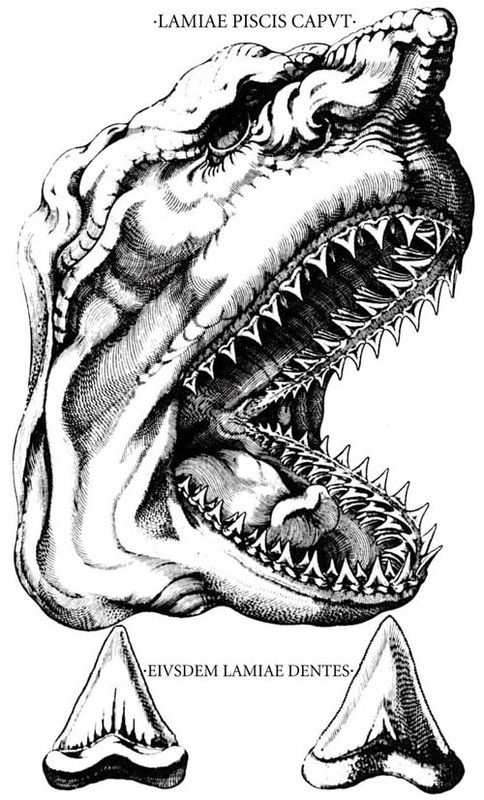 For the long time, people thought giant fossilized teeth of Megalodon embedded in rocks were teeth of mythical dragons. However, back in year 1667, Danish scientist Nicolas Steno speculated for the first time, that they could be fossilized remains of prehistoric animal, similar to modern shark. He even depicted the animal in his work, The Head of a Shark Dissected. In year 1835, this prehistoric shark was assigned his scientific name, Carcharodon Megalodon. According to fossil records, his body could be about 50 feet long, making Megalodon the largest shark to ever live in history, double the size of modern Great White Shark. Its sharp triangulous teeth were about 6 inches long, assuring that they would cut into Megalodon’s prey like hacksaw. In recent decades, popularity of Megalodon started to grow rapidly, this massive predator has even made his way to various low-budget movies. Definitely one of the most bizarre inhabitants of prehistoric seas of Permian period. Helicoprion, distant relative to prehistoric sharks, is mostly known for its unmistakable spiral-shaped lower jaw. Being only part of his body, which was ever found fossilized, exact purpose of this spiral covered by dozens of razor-sharp teeth remains unknown to present day. 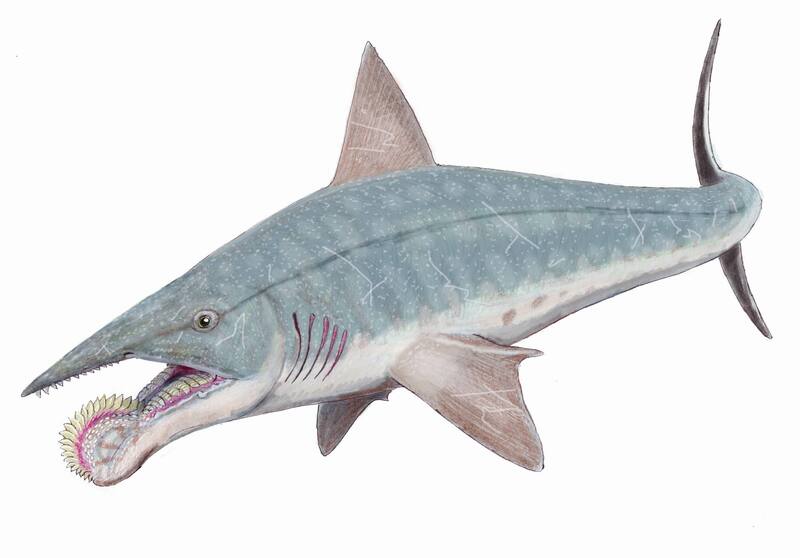 It is speculated, that Helicoprion used his unusually shaped teeth formation to break shells of prehistoric cephalopods. Although scientific estimates put his size to only about 15 feet, it surely was one of the most frightening predators to ever roam the waters of Permian period.